If you take a look at the reverse side of the Bulgarian one Lev coin you’ll see the saintly figure of a man holding a cross. John of Rila was a hermit, beatified whilst still alive for, among other feats, the miracle of the two pies where said savouries were generously bequeathed to feed the poor. John’s reputation for such acts were legend, thwarting his desire to live a life of prayer and meditation as a hermit in the RIila Mountains; followers from far and wide came to his cave to seek his blessing and interrupt his solitude. 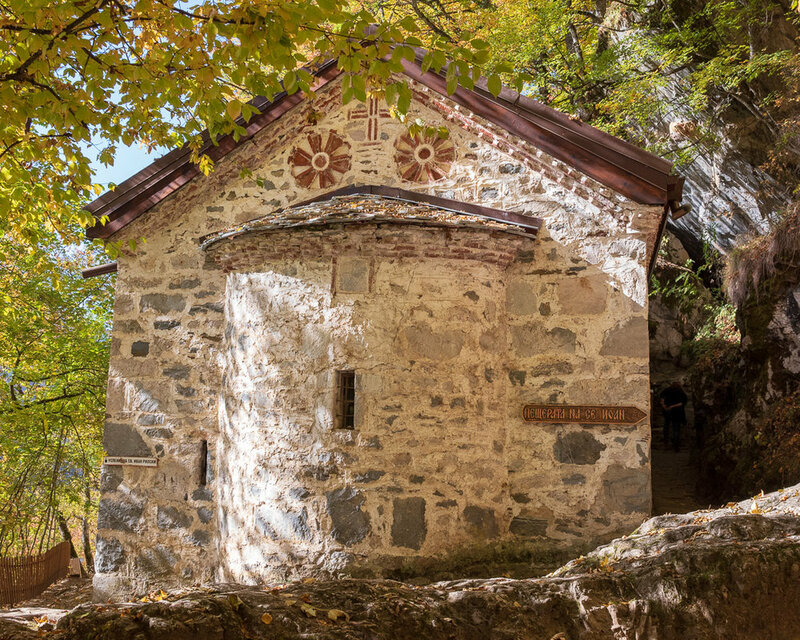 Desirous of my own period of peace and reflection, I make a pilgrimage up the Rila mountainside to where Bulgaria’s most important monument lies eleven hundred metres above sea level. The long steady drive is sublime; it’s mid Autumn and the trees are in resplendent in their seasonal golden attire; the air is sweet and filled with birdsong. 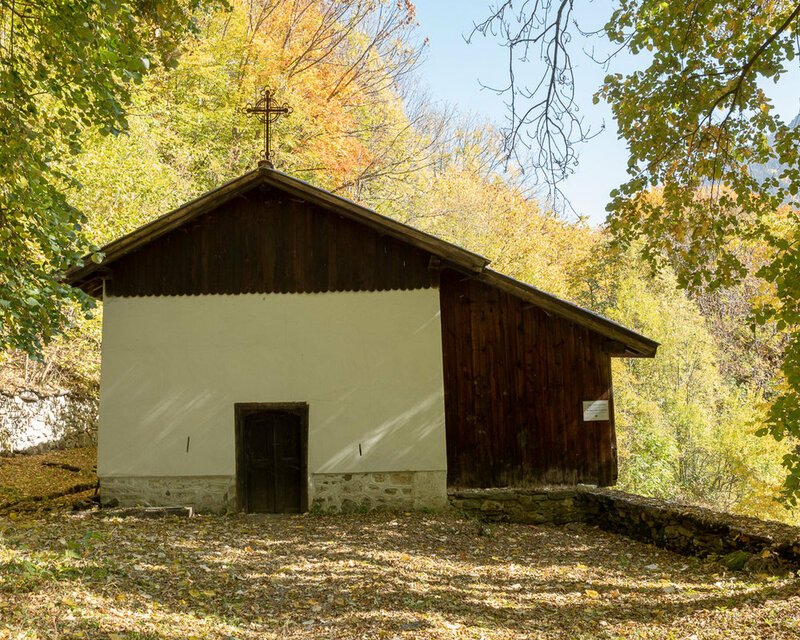 The monastery, named after John of Rila, is humming with people. They’re congregating in the central courtyard of the nine thousand square metre complex where lie the main church and tower. 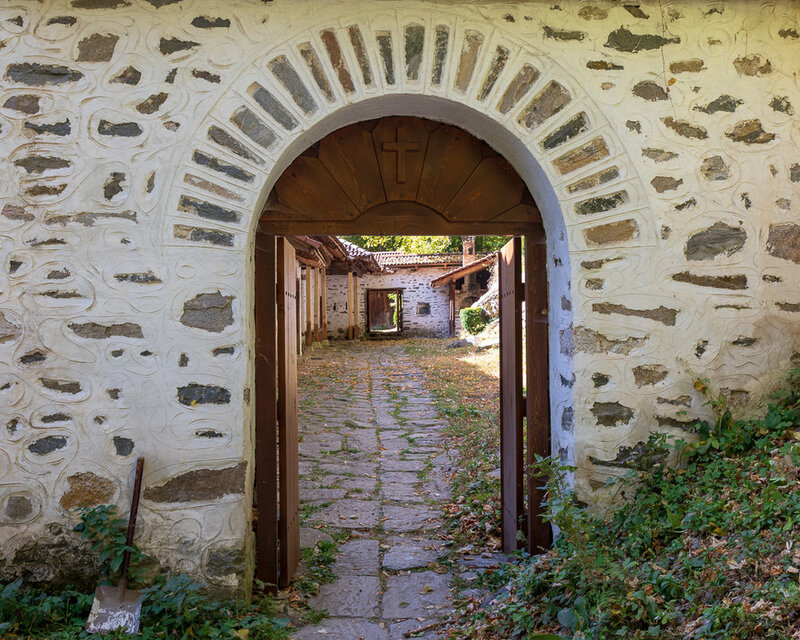 The edges hold the large accommodation block which has housed, amongst others, Bulgarian revolutionary and national hero Vassil Levski. Inside the church is the gold-plated iconostasis with incredible hand-carved wood that took four craftsmen five years to complete. It’s not, however, the original site of John of Riva. 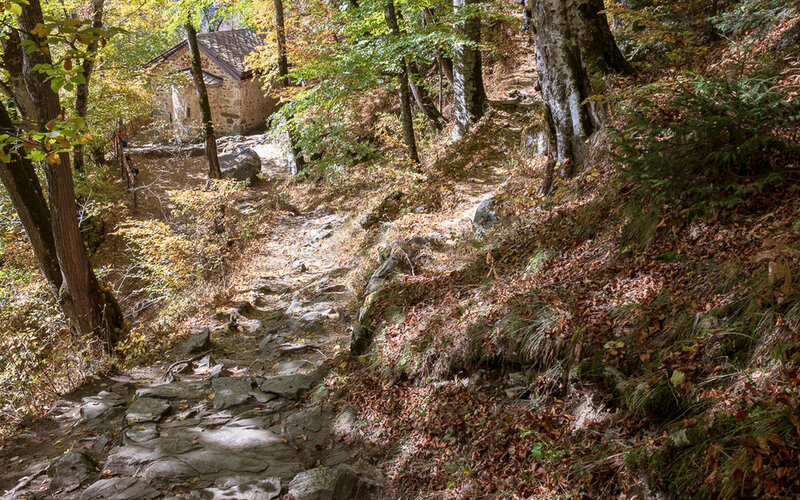 For that, you must take a small, winding path four kilometres through the woods up and up further into the mountain. It’s all under cover of forest and the light is incredible, filtered as it is through the translucent golden leaves. 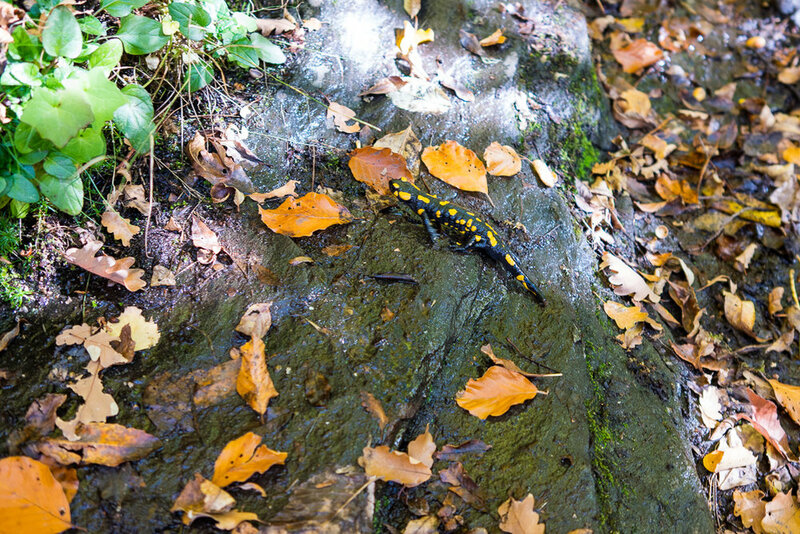 Thankfully Archie fails to notice the large fire salamander crawling across the path to the safety of the decaying leaves; they’re not lethal but he would have received a nasty bite. Despite the dozen or so other pilgrims at the cave, the place is very quiet and serene. I don’t want to leave this most peaceful of mountains so I spend the next couple of days in the area, resting and taking photographs. The next day I’m sitting on the hillside taking pictures of the valley when a band of horses come wandering down the slope. Archie becomes excited and I keep telling him it’s ok, it’s ok, it’s ok over and over. The last thing we need is a stampede. He billows his cheeks in his attempt to comply. He’s trying really hard. One of the horses, the head honcho, breaks off to come and see what we’re doing. I stand up, making the leash nice and short for Archie and walk the twenty odd yards towards him. The horse and I square up to each other. I’m so close I can feel his hot breath and see a rather persistent fly hovering around his long eyelashes. My heart is beating fast but I speak slowly and gently, respectfully. It’s his hill after all. I tell him we’re taking pictures and point downhill to the camera. He bends his head to the ground, keeping one eye on us. I take a step back. He’s letting me know he intends to graze here. I tell him that’s ok, and start walking backwards, pulling Archie along with me. Satisfied, the horse shakes his mane and returns slowly to the herd. Our powwow is complete. Archie, silent and compliant to this point, issues the (albeit redundant) last word: Woof. The horses remain grazing here for the next half an hour. Archie forgets they’re there, stretching out in the warm sunshine. I take pictures of them on the hill and in an abandoned chalet. They’re beautiful creatures and I feel honoured to have received approval to share their hill. There’s something spiritual and holy about this place: the craftsmen turning the wood with love; the fugitive hiding in the monastery; the hermit living in a cave. And now this: man-and-dog making peace with the wild horses of the mountain.